The Takeaway’s Todd Zwillich hosts a candid conversation challenging the notion of what is “politically correct,” and what is “tolerant” on both sides of the ideological spectrum. As young people work to find language for and lay claim to their own identities and grievances, how is political correctness challenging the notion of free speech on the right, and how is tolerance fracturing the left? Join us for discussion with political commentator Sally Kohn, Mic senior staff writer Jamilah King, associate editor at Reason Robby Soave and author and writer Moustafa Bayoumi. 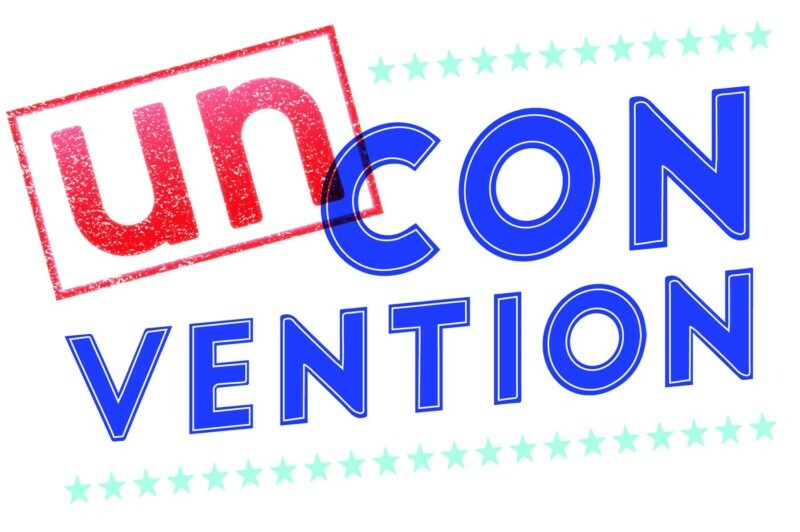 The UnConvention is an collaboration between 92nd Street Y, Mic and Public Radio International to facilitate a conversation of, by and for millennials about what matters to them, so they can get more involved and make more informed decisions in the 2016 election and beyond. Sally Kohn is one of the leading progressive voices in America today. A CNN political commentator and The Daily Beast, Sally is a popular keynote speaker who makes audiences laugh and think. Previously a Fox News contributor — the inspiration for her widely seen TED Talk — Sally’s writing has appeared in The Washington Post, The New York Times, New York magazine, More Magazine, RollingStone.com, Elle.com, USA Today, Time, Afar magazine and many other outlets. Her work has been highlighted by outlets ranging from the Colbert Report to the National Review. Sally is ranked by Mediaite as one of the 100 most influential pundits on television and by the Advocate as the 35th most influential LGBT person in the media. Jamilah King is a senior staff writer at Mic, where she focuses on race, gender and sexuality. She was formerly senior editor at Colorlines, an award-winning daily news site dedicated to racial justice. Previously, Jamilah was associate editor of WireTap, an online political magazine for young adults. She’s also a current board member of Women, Action and the Media (WAM!). Her work has appeared on Salon, MSNBC, the American Prospect, Al Jazeera, The Advocate, and in the California Sunday Magazine. Robby Soave is an associate editor at Reason and columnist for The Daily Beast. He is also a 2016 Forbes 30 Under 30. Moustafa Bayoumi is the author of the critically acclaimed How Does It Feel To Be a Problem? : Being Young and Arab in America (Penguin), which won an American Book Award and the Arab American Book Award for Non-Fiction. His latest book, This Muslim American Life: Dispatches from the War on Terror, was chosen as a Best Book of 2015 by The Progressive magazine and was also awarded the Arab American Book Award for Non-Fiction. A frequent contributor to The Guardian, Bayoumi has also written for The New York Times Magazine, New York magazine,The Nation, CNN.com, The London Review of Books, The Chronicle of Higher Education, and many other places. Most recently, he also penned the most retweeted tweet of the most tweeted presidential debate in history. Bayoumi is Professor of English at Brooklyn College, City University of New York (CUNY).